The Government’s “Cloud First” policy (Kundra, 2011) set an accelerated course of government technology migration to cloud resources. Traditional on-premises visual systems seem ripe for cloud migration because the systems are expensive, dedicated, compute-intensive machines with large physical footprints and requirements for regular maintenance, upgrades, and environment control. 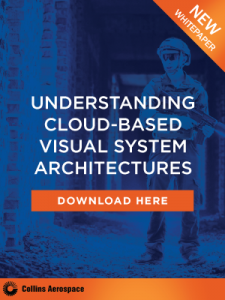 The practically limitless resources of the cloud are highly appealing for hosting visual systems to eliminate or reduce many of these negatives while providing new benefits such as ease of scalability and the opportunity for point-of-need (PoN) simulation. Although attractive in concept, serious limitations in training quality and effectiveness can exist depending on the implementation of a cloud-based visual system. This paper explores the technical challenges and functional ramifications of distributing visual system components across the cloud compared to on-premises resources. We begin by describing cloud options that exist for hosting visual system components. (Morris, 2011) (Abacus Next, 2017). Fill out the form below to download this whitepaper.